Our teachers are Early Childhood educated - many through a formal University - while others are seeking their Child Development Associates Degree. The staff at David's doesn't consider this a job - but a calling. We work for the great Lord Jesus Christ and through His love we serve these children. It is an honor to be part of this ministry. We gladly open our doors and our hearts to all children and families in our community. See our Services page for our offerings or contact us for more information. We'd feel privileged to hear from you. My love for teaching started as a young girl. Using old text books I received from my teachers, I would go home and play school with my friends. I suppose you could say I have always been an aspiring teacher. While growing up in St. Mathew’s Church I spent many of my adolescent years working in the nursery, teaching Sunday school as well as Vacation Bible School. I have many wonderful memories of St. Mathew’s, and I am extremely passionate of the church as a whole. After working as an aide for multiple years, I decided that childcare was my calling, and I wanted to pursue my education in order to become a teacher. After finishing Early Childhood Development classes at Anoka Technical College in 1996, I continued working at three different centers for a total of 18 years in childcare. In 2001 I was informed by a previous director that a new daycare was opening at St. Mathew’s Church; all I knew is we had some serious competition, and I wanted to be a part of it! Following God’s path brought me to DCLC in the fall of 2005; this was a blessing. Working at David’s has been by far the most fulfilling daycare center I have been a part of, and I am extremely grateful and blessed to be here. Samantha started at DCLC in December of 2006, following high school. She has taken childcare career classes and child guidance classes and had hands-on experience in her grandmother's home daycare. 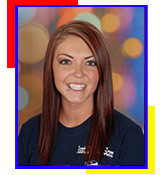 She loves working with children because each day brings new experiences. Sam is working on finishing a 4-year degree in early childhood through Minneapolis Community and Technical College and Metropolitan State University. Samantha's favorite Bible story is that of Jonah and the Whale, because it teaches us that God is always with us and does not give up on us even during our rebellious periods in life. 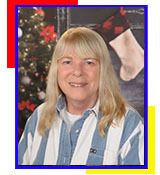 Linda started working at DCLC in October 2012. Kelly started working at DCLC in April 2012. 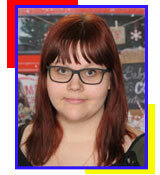 Eliane started working at DCLC in April 2013. Esper started working at DCLC in August 2016. Kayla started working at DCLC in August 2016. Tabby started working at DCLC in November of 2003. 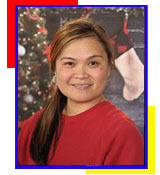 She has over 18 years of experience in the Early Childhood Field; most specifically the Toddler classroom. 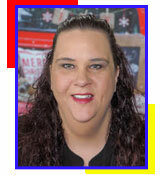 She completed a teaching certificate at the Professional Career Development Institute and is pursuing her Child Development Associate Degree. She especially feels that the Toddler age is the most rewarding. She speaks of seeing many “firsts” in regards to their cognitive milestones. “There is nothing like seeing them do something for the first time, especially when you have been working on it for awhile. All of a sudden they get it and it is fabulous! Tabby's favorite Bible story is about Creation (in Genesis). She loves to teach the toddlers this story because it is fun for them and easy to understand. She reports however that David and Goliath are still the all time favorite for this age group. 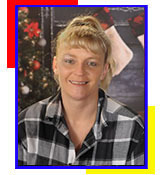 Traci has been with DCLC since December of 2007. 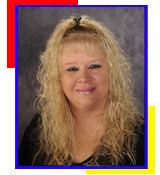 Traci had served as a classroom Aide in various programs for over 8 years prior to coming to here. Her favorite Bible story is Jonah and the whale. She feels this story demonstrates God willingness to release people from their current dilemma’s when an attitude of submitting to a Divine authority is present. Shelly started working at DCLC in December 2011. 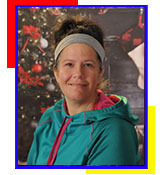 Angela started working at DCLC in October of 2017.